Blackjack is one of the most favorite card games that have its admirers all over the world. The main reason for this is that blackjack is a game of skill and in case of smart playing gamblers could not only decrease blackjack house odds, but even convert them into their own favor. The term of blackjack odds is tightly connected to casino house edge, which could be defined as a theoretical index derived from multiplication of all bets made by the percentage that casinos keep. There is a common mistake when gamblers mix up house odds and house edge with pay out percentage, which is a ratio of the bets that are returned to the gamblers to all bets they make. Consequently, if the game provides you with a 95% pay out, then the house edge is 5% = 100% - 95% and in case of blackjack it means that on average players lose 5% of their bets in long run or, in other words, you keep 95% of your bankroll while casino gets their 5%. Initially, blackjack game offers much lower blackjack house odds than other gambling games and regarding the fact that players could decrease it even more, the game appears to be rather profitable. Probably, one of the brightest and easiest ways to do this is to apply blackjack basic strategy, which allows to reduce house odds down to 0.5% or even less depending on the experience and skills of blackjack player. Such low number makes gamblers and casino almost possessing equal rights, which very few gambling games could tolerate. For the sake of comparison, if you do not exploit any blackjack strategy, then the house has an advantage about 2%-5% over you, which means that you lose about $2-$5 per every $100 spent. Another important factor that influences casino odds is connected to casino location, notably casinos in Las Vegas, which is full of generous tourists who are eager for all kinds of entertainments, could venture themselves to offer worse playing conditions than those, which are located in comparably remote areas. Moreover, the rules of blackjack could vary from table to table even within the same casino depending on blackjack variations and just methods which cards are dealt. 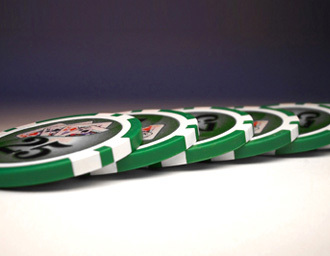 If it is provided that players win blackjack ties, their odds increase by 0.3%.